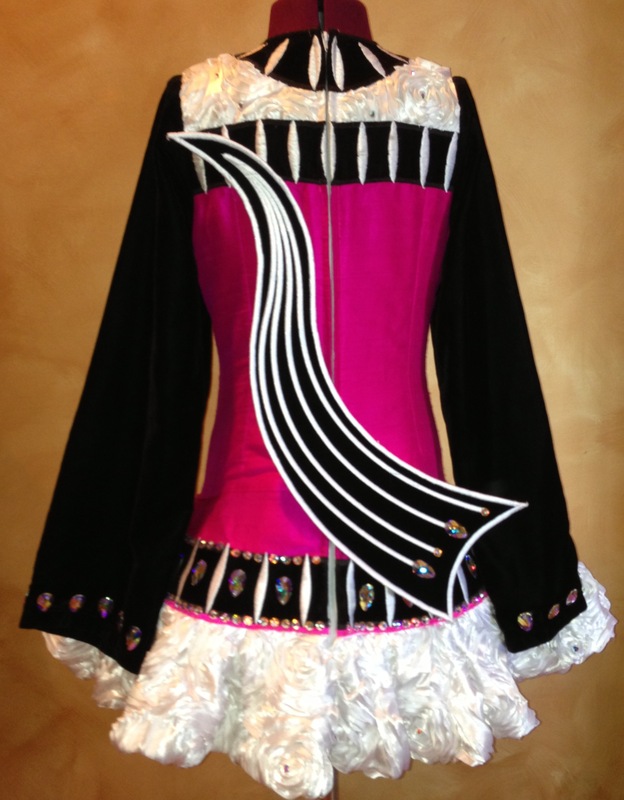 Vibrant Championship dress made by Gavin Doherty for one of his own dancers and sadly outgrown. 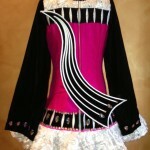 Brilliant magenta silk bodice has white ribbon-roses skirt, black velvet sleeves and S cape; and shines on stage. Adorned with over $600 of Swarovski AB pears and crystals. 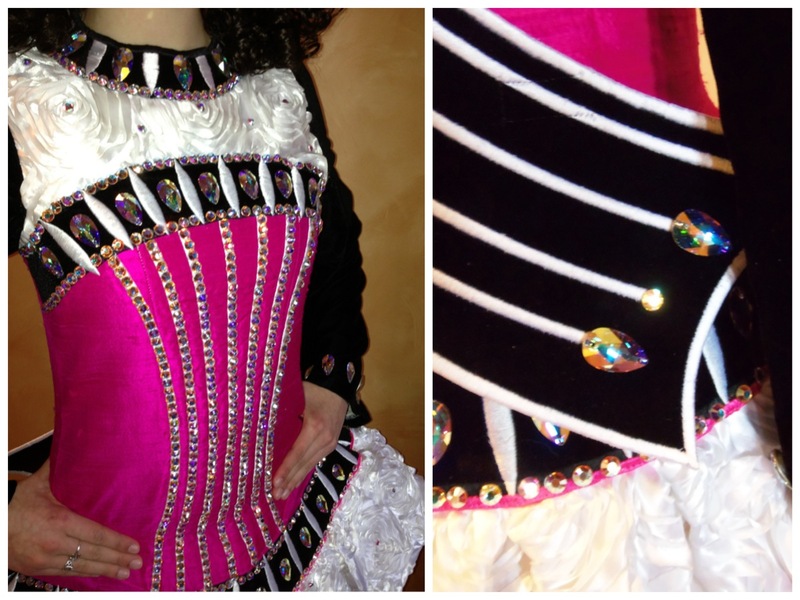 Great condition with some tanner and pink bleed-through on inside of bodice, white skirt is immaculate. Worn less than 10 times and from a smoke free home. 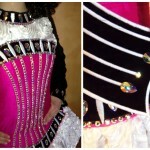 Standard let out and let down in bodice and at waist, plus 1″ hem hand sewn in white skirt. Asking Price: $US1200. Shipping costs are included for my own country, overseas shipping is extra. Sale is final.